SAS-301 – Smart Snow and flood water alarm systems as part of the RPP (Roof Protection Plan) Made in Germany! 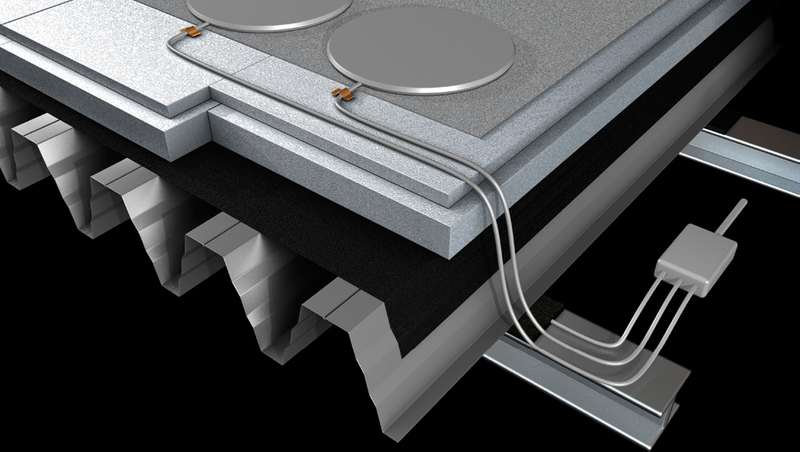 The load capacities of flat roofs are limited. These limits can be reached without warning by snow in winter and by stormwater in summer. 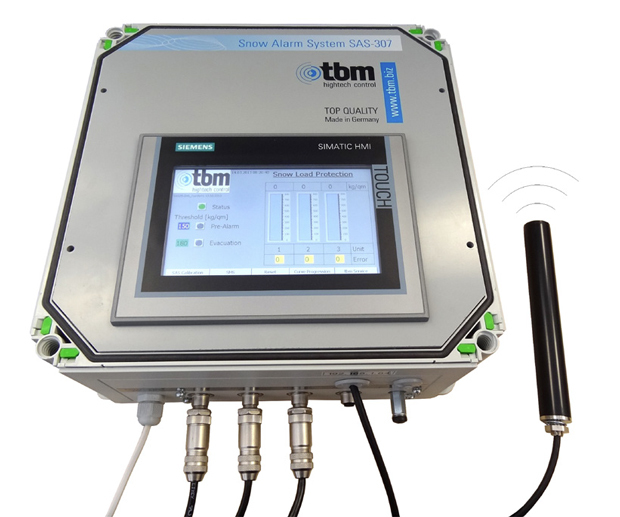 The SAS-307 snow and flood water alarm system of the Munich company tbm is a sophisticated early-warning system for year-round monitoring of the current roof load. It records the existing roof load due to snowmelt or stormwater on the flat roof and triggers an alarm when the roof load reaches critical values. A pre-alarm is triggered, for example, at approx. 60% and an evacuation alarm is triggered at 90% of the permissible roof load. The mounting of a measurement system for the entire roof surface is very simple. The measurement stations are connected to central control electronics with ready-to-connect, pluggable connecting cables. To increase safety, ideally the three stations are installed at different positions on the roof surface. 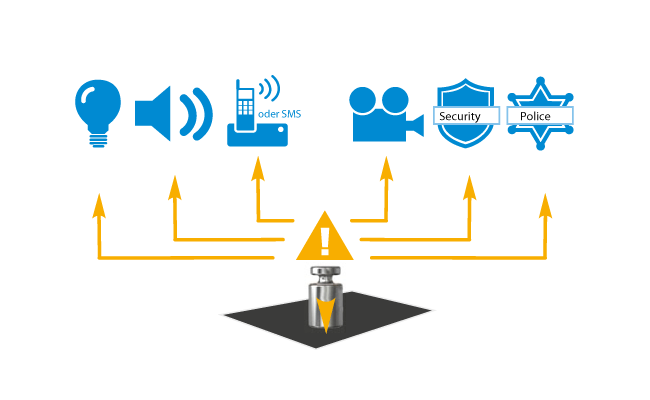 Depending on the equipment, there are visual or acoustic alarm messages or overload messages or alarms via existing online and telephone systems. The SLD Group has worked throughout Europe with these systems manufactured in Germany and has regularly installed them for their industrial customers. You can obtain the snow load and floodwater monitoring from our company as an optional component for the RPP-Konzept (Roof Protection Plan). The proper installation and the regular maintenance of the alarm systems and the associated roof surfaces is part of the programme. The central system elements of the SAS-307 snow and flood water alarm system are the three measurement stations and the central electronic evaluation system in a control cabinet with integrated display and operating display. The three measurement stations are installed at any or selected positions on the flat roof. As a result, the system is three times more reliable than when the load is measured at a single location only. We attach great importance to reliable safety. Each measurement station, in turn, contains three special sensors and a specific electronic system to transmit the measured values to the electronic evaluation system in the control cabinet. The central electronic evaluation system in the control cabinet is controlled by software developed by tbm and contain numerous monitoring mechanisms, which we know from 20 years of experience in safety engineering. Simple assembly, or subsequent installation on the roof foil. 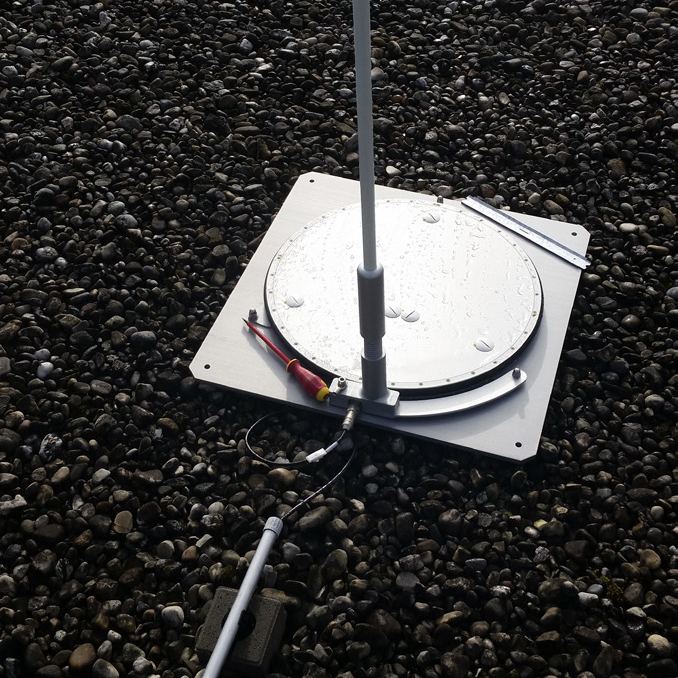 The 50 cm, circular measurement stations are made of anodised aluminium and IP 68 for application directly on the roof foil. The control electronics are equipped with an integrated display screen (touch screen) in a 320 x 320 x 179 mm control cabinet. For the integrated sensors and electronic evaluation system, a pressure compensation between internal and external air pressure is necessary for the system to function reliably, and is ensured by a special valve. According to the approval body for building products in Berlin (Building Inspection Authority), no building permit is required for the snow and flood water alarm system.